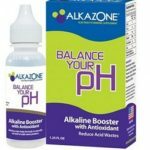 9/26/2018 Update: This product is currently not available, please see our reviews of other popular alkaline water products. The VS-70 Under Counter Water Ionizer is the perfect size to fit under the counter as the name implies. The unit lets you select the types of water you want at the touch of a button near the sink. It has a nice blue LCD display for easy viewing and selection of options. This water ionizer brags of seven solid titanium plates coated with platinum for the highest degree of electro-plate technology that will give you the purest water possible. This smart size fits well under the sink and the display and handsome faucet are separate and sit next to your faucet for better use and convenience. 1 What Is the VS-70 Under Counter Water Ionizer? 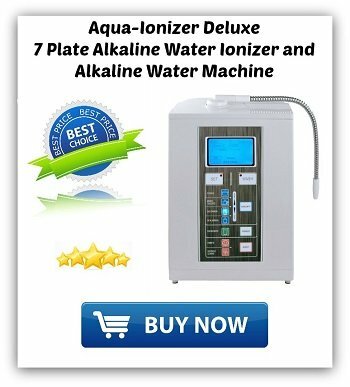 2 How Does This Water Ionizer Work? 3 What Do the Reviews Say About the VS-70 Under Counter Water Ionizer Product? 4 Where Can You Get This at the Best Price? 5 Is the VS-70 Under Counter Water Ionizer Right for You? What Is the VS-70 Under Counter Water Ionizer? The VS-70 is one of the popular models of under counter ionizers from Chansen. This compact unit allows all of the pipes and mechanisms to reside under the sink and has the faucet conveniently located on the counter top near your sink. Unlike other models that are notoriously difficult to install and take up a lot of room, this is one that you will be able to put in quickly and easily. This allows for viewing the displays and not having to crawl under the sink to switch the different types of water flows. Everything is displayed for you and gives you total control of the system. The self-cleaning option is a great feature and because it is displayed on the counter top there is no guessing if the unit is in cleaning mode. 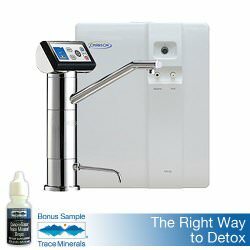 How Does This Water Ionizer Work? The process of water ionization is letting water flow over metal plates that are electrostatically charged to clean the water as it passes over the plates. The quality of the water depends mostly on metal that is built into the machine. Titanium is a very strong metal that conducts electricity very well, this unit also have the precious metal of platinum covering the titanium plates for pristine tasting water. The ionization of water is well established for cleaning the water much more efficiently than just a filter process. What Do the Reviews Say About the VS-70 Under Counter Water Ionizer Product? Where Can You Get This at the Best Price? When shopping for any product it is good to be an informed shopper. The very best place to educate yourself on these different types of machines in online. While online you can compare several different models, possible even in a side-by-side comparison list. Another great resource while searching online is to read the reviews. You can really learn a lot about the product by listening to other owners of the same model and brand in a review. If you have questions about the function or performance of a product, chances are that someone else had the same questions too. 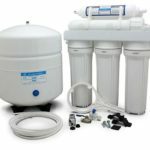 Is the VS-70 Under Counter Water Ionizer Right for You? By doing your research online and becoming the informed shopper about your product, in this case the VS-70 Under Counter Water Ionizer, you will make a more informed purchase. Just the fact that this whole working part of the machine resides under the counter is a great idea. Many people do not like to have a large water ionizer on top of limited counter space. With this set up you will notice it is much quieter than other machines because it is under the counter. The very handsome chrome faucet sits discreetly beside the counter top faucet for ease of use. This makes the perfect access possible to use for cooking and making coffee or beverages. It comes with a filter that has almost a year’s life of filtering and self-cleaning. The display will also keep track of the life of the filter and tell you when it needs replacing. It includes a five year warranty on labor and a lifetime warranty on parts. Right now it also includes free shipping when ordering online. It is up to you to know if the VS-70 Under Counter Water Ionizer is right for you. Click here to get more information or buy directly on Amazon.com.